Moving on! As always a super cute sketch from AHSC. I was in a sparkly, glittery mood and it became this card. 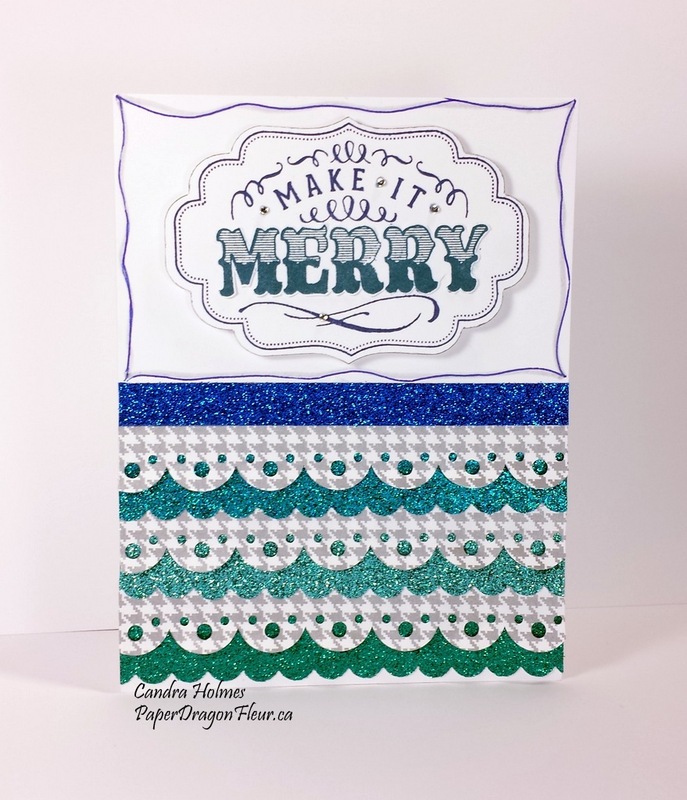 I still had the Sparkle and Shine paper packet (retired) on my desk, so I decided to use the houndstooth pattern paper as it has a silver shine to it and the border edge is from the Cricut Art Philosophy Collection. - My sentiment is from the Make It Merry (D1617) stamp set, and I stamped it in Sapphire and Peacock Ink (new colours!). I fussy cut the "Merry" out and pieced it onto the base. - The fancy shaped base is from the Artbooking Cricut Collection. - Using my Silver Metallics Marker, I carefully edged the base and also freehand drew the border around the outside edge. I then took a dark blue fine tipped marker and freehand the second line. A few bitty sparkles and my sparkly card is complete! Thank you for stopping by and I sincerely appreciate your comments. 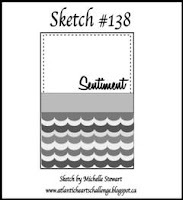 I hope you get inspired and play along with us at Atlantic Hearts Sketch Challenge.